Sol Step is a patented device designed to provide improved cushion and shock absorption on the plantar aspect of the heel. A gel pad, located under the heel, cushions each step. The neoprene stocking-like support fits comfortably in the shoe. 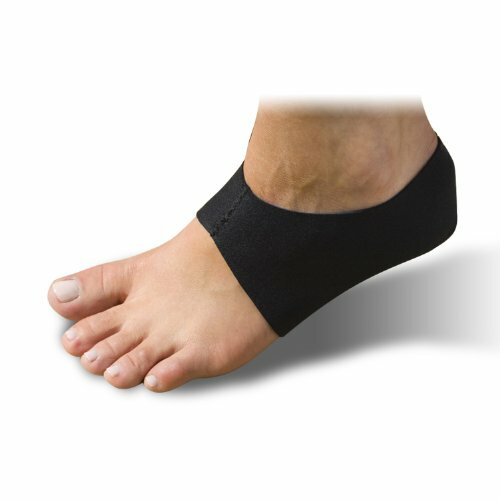 Compression to the heel and arch reduces edema and swelling to accelerate healing. Effective treatment for chronic heel pain, heel spurs, plantar fasciitis, Achilles tendonitis, fat pad contusion or atrophy and calcaneal stress fracture.